“I am always obliged to go and gaze at a blade of grass, a pine-tree branch, an ear of wheat, to calm myself,” Vincent van Gogh wrote in a letter to his sister, Wilhemina, in July of 1889. 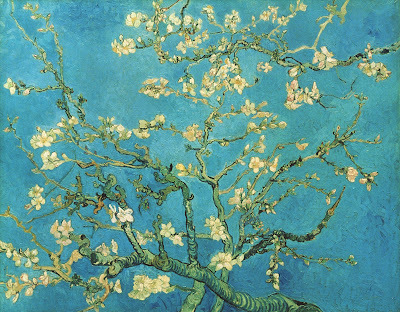 An artist of exceptional intensity, not only in his use of color and exuberant application of paint but also in his personal life, van Gogh was powerfully and passionately drawn to nature. 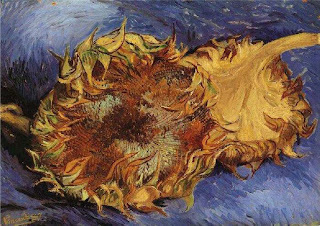 From 1886 to 1890 when he ended his own life in Auvers, van Gogh’s feverish artistic experimentation and zeal for the natural world propelled him to radically refashion his still lifes and landscapes. 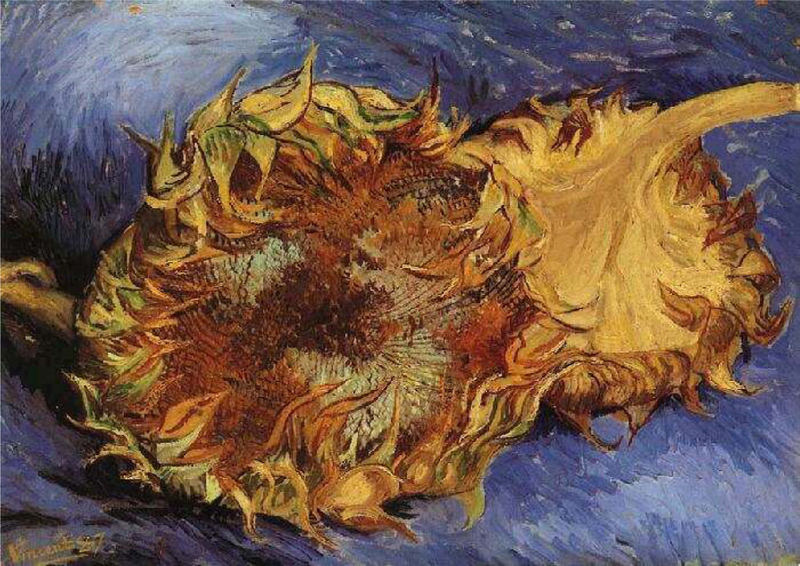 Sunflowers, 1887. Vincent Willem van Gogh, Dutch, 1853 ‑ 1890. 26 1/4 x 33 1/2 x 2 1/2 inches (66.7 x 85.1 x 6.4 cm). 1853 ‑ 1890. Oil on canvas, 28 15/16 x 36 1/4 inches (73.5 x 92 cm). 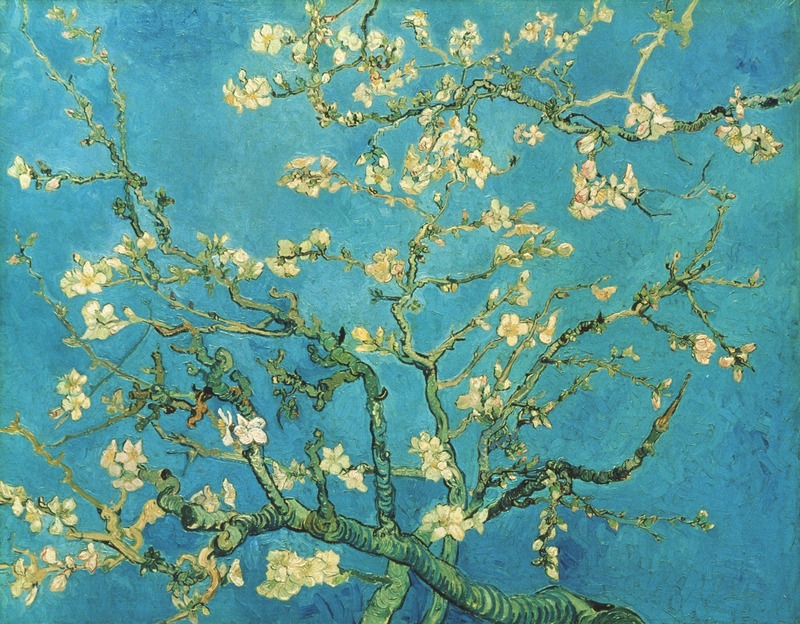 Van Gogh Up Close, a major exhibition organized by the Philadelphia Museum of Art and the National Gallery of Canada, presents a group of the artist’s most daring and innovative works that concentrate on a previously overlooked aspect of van Gogh’s work. Entitled “close-ups,” the exhibition brings familiar subjects such as landscape elements, still lifes, and flowers into the extreme foreground of the composition or focuses on them in ways that are unexpected. These paintings have not previously been seen together or identified before as critical to understanding van Gogh’s artistic achievement. Early in the sixties, as four fellow Liverpudlians took America by storm, my family arrived in the US and settled in New Jersey. After forging a successful 30-year career in publishing and journalism, in 2001, my lifelong dream of studying painting became a reality as I began extended instruction with several of the finest contemporary artists. Moving forward, this visual journal is a way of chronicling a personal odyssey in art. I hope that by sharing my passion for painting life's journey, it will become a gateway for us to connect... exchange ideas... inform... inspire and entertain... all with the Arts in mind. Toward that aim, please feel free to participate in its creation by sending along your comments, art news, or interesting items for discussion in future issues. Making “herstory” as the first woman Ad Manager in Harte Hanks' newspaper chain, Louise's campaigns garnered national acclaim, besting "The Washington Post" & "Boston Globe." Continuing the pioneering spirit, she also published the first woman’s regional magazine, "NJ Woman," and forged a 30-year career in journalism. In 2001, following her heart, Louise began to study painting in-studio with Frank Arcuri and at The NY Art Student’s League and John P. Osborne at the Ridgewood Art Institute, NJ. She has exhibited at the National Arts Gallery in Hudson Valley Art Association & Catharine Lorillard Wolfe Art Club Exhibitions and received noted industry awards. Her work is in numerous private collections/foundations, was featured in the June 2008 and March 2017 issues of "Artist's Magazine," and on the cover of a Vivaldi CD entitled, "Venetian Dreams." As a writer, Louise's syndicated features on art, personalities and travel have appeared in over 30 national and international publications. She is a frequent contributor to Watercolor Artist and a Contributing Editor at The Artist's Magazine. Copyright, 2012. Travel theme. Theme images by Sookhee Lee. Powered by Blogger.